1972 datsun 240z ammeter not working. Easy fix or should i get a used one? By jalexquijano, December 31, 2018 in Help Me !! 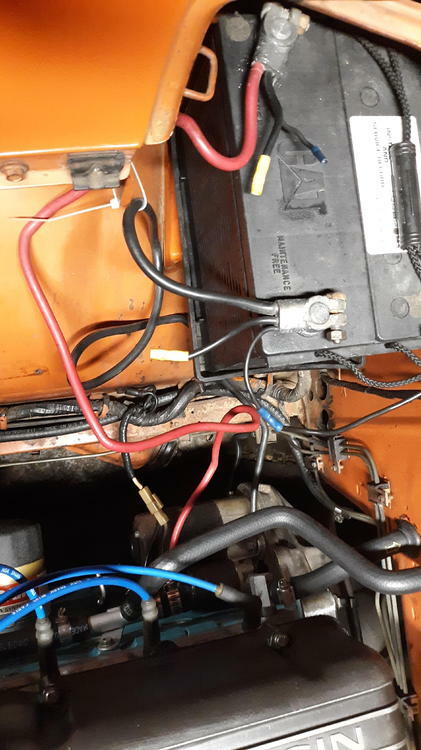 Today i fried one 15 amp fuse which is plugged in a fuse holder of the parking light harness built by dave irwin and installed in my engine. It came out melted because i removed a 15 amp i had plugged on the instrument fuse holder at the fuse box. I believe this damaged the ammeter of the car. I checked all connections and did not find anything broken. My question is: could the short damage the ammeter? My fuel gauge does work. Can this be fixed and how? Sounds like an alternator problem to me. Fuses pop before causing damage up stream therefore you should always use the recommended fuse. Never go higher. I had a bad alternator that burnt my fuse, none of gauges worked. The internal voltage regulator went bad. Have you upgraded the alternator? I think after these years of using mr irwins upgrade without issue you can rule that out. My alternator was upgraded to 60 amp with internal voltage regulator. I dont think its damaged. Car cranks fine. Can the ammeter be fried? If so, can it be fixed? In the picture your ammeter shows a big current draw. Over 45 amps. This could be because your alternator is not charging, like site said. Disconnect your battery. The ammeter should go back to the center point. If it does it means that you have a very big current draw when the battery is connected. 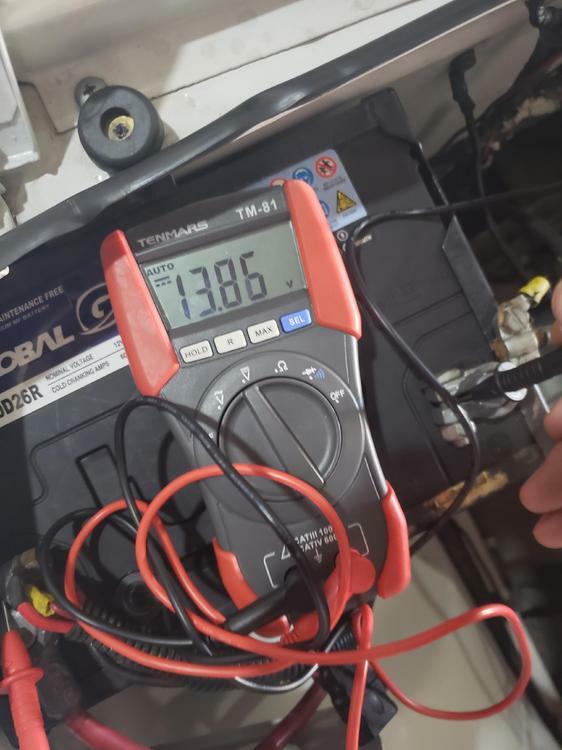 I'm not positive on this but when you put a volt meter on the batteries post it should read 14.50 volts with the car running. If it's more you have a bad voltage regulator. The gauge most likely isn't bad it's something else. Don't get tunnel vision on the gauge. Thanks Zed Head. You always come up with a better answer. We could open a shop... Sanford and Son. We could open a shop... Sanford and Son. Just tried to break it down to the basic question. 45 + amps is still a giant draw, over the full capacity of an early 240Z generator. There should be smoke,or a blown fuse. if you see that on your ammeter, I think. Could be that the needle got stuck when the fuse shorted. Give it a tap after disconnecting the battery. At least you'll know if the gauge is damaged or not. Edit - on the other hand I might not know how the ammeter works. Maybe the center point is only set with voltage present. @SteveJ knows though. Maybe the center point is only set with voltage present. @SteveJ knows though. No, the needle sits at the center point without voltage or current. I have one in my hand (and I'm not sitting in a Z...). put a volt meter on the batteries post it should read 14.50 volts with the car running. If it's more you have a bad voltage regulator. and if it's less than 14.5, it"s a bad alternator. Those are blanket statements and not really accurate. The ammeter is designed to indicate charge/discharge of the battery. The ammeter is situated between the battery and alternator, and most loads are on the alternator side of the ammeter. If the ammeter is on the positive side, the alternator is charging the battery and/or your brake lights/hazard lights are drawing current. Make sure you have a good battery. 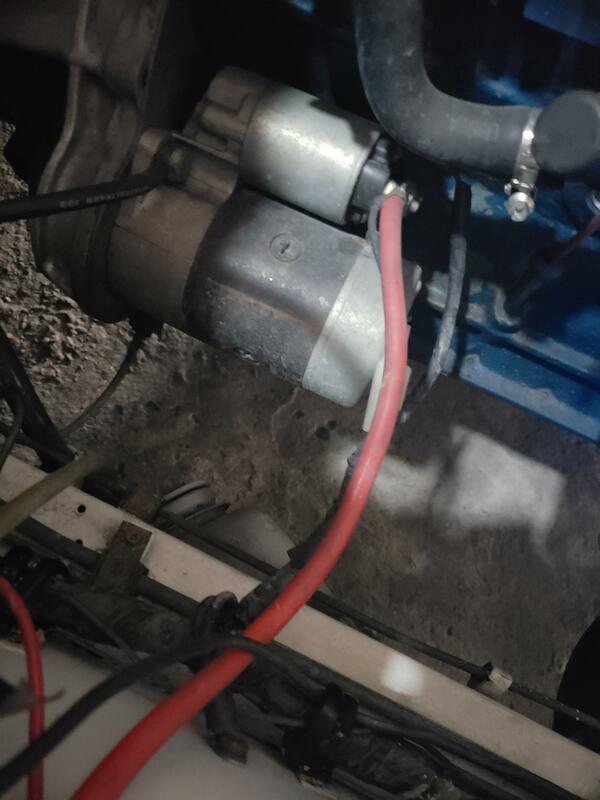 The specified alternator and the wiring harness are not designed to charge a dead battery. 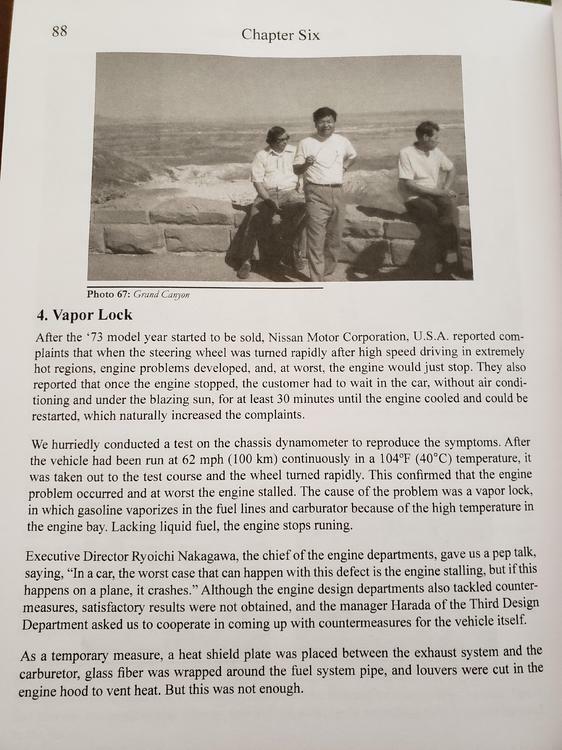 If the ammeter has failed completely, typically the car will not start since current will not flow through the ammeter. For starting the car, power goes from the battery, through the fusible link and ammeter, and to the ignition switch. If the alternator has failed, the electrical system is relying solely upon the battery, and the battery will discharge. 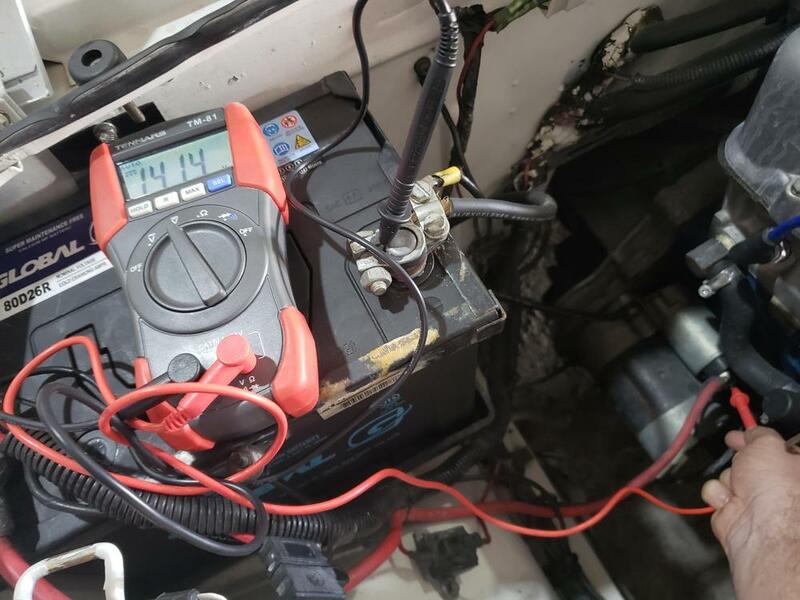 If the voltage regulator has failed, typically the battery will reverse power the alternator when the car is off, and the battery will discharge. 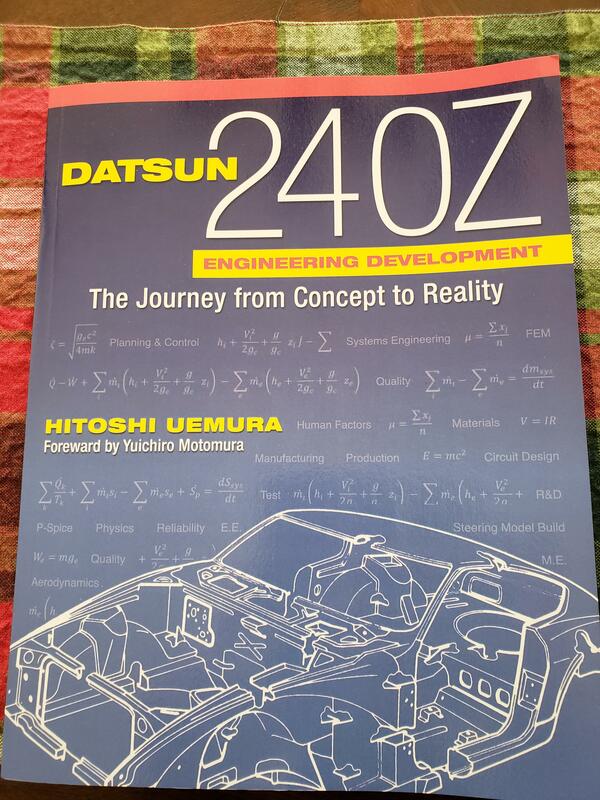 The voltage reading of 14.5 would be at 2500 RPM, and that is not a go/no-go voltage. A voltage between 14 and 15 VDC at 2500 RPM should be fine. 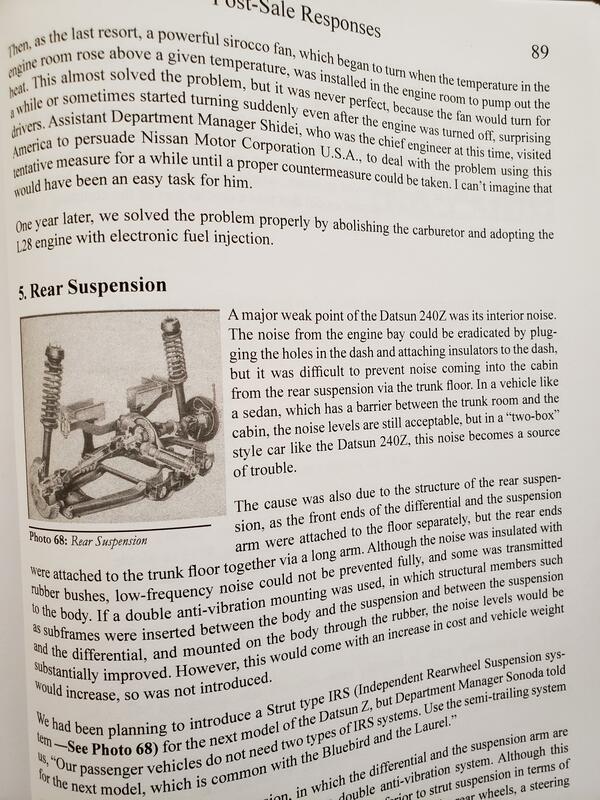 As the FSM states, the alternator should show 12.5 or higher at 1000 RPM when doing the test as described in the manual. you should take a look at the shunt and make sure its installed properly. Readings taken both at positive of alternator and at battery with car at idle. Ammeter still at zero. I have a spare one and already verified that my connectios were tight on the one installed. Just reading what others have said I don't think your gauge is the problem. And that's the starter not the alternator you're checking voltage on. I'm sorry I can't be more helpful. Good luck. Where does the needle point when the car is off? Should be at the center. Then when the car is running does it go all the way to the left, negative? If it stays at the left running or not, I would disconnect the battery and see where the needle goes. Again, good luck. Negative battery pole disconnected, tap given with closed fist to the gauge, needle went tobñ center and viola ammeter working again. Thanks to all of you for your great help throughout these 4 years and exhaustive patience. Happy new year! Sorry for the misrepresentation of the part. Anyway problem fixed. Thanks to all of you. By the way i wish my air conditioner would blow more cold air. The gen ii mini evaporator need more flow. @jalexquijano Happy New Year Buddy. 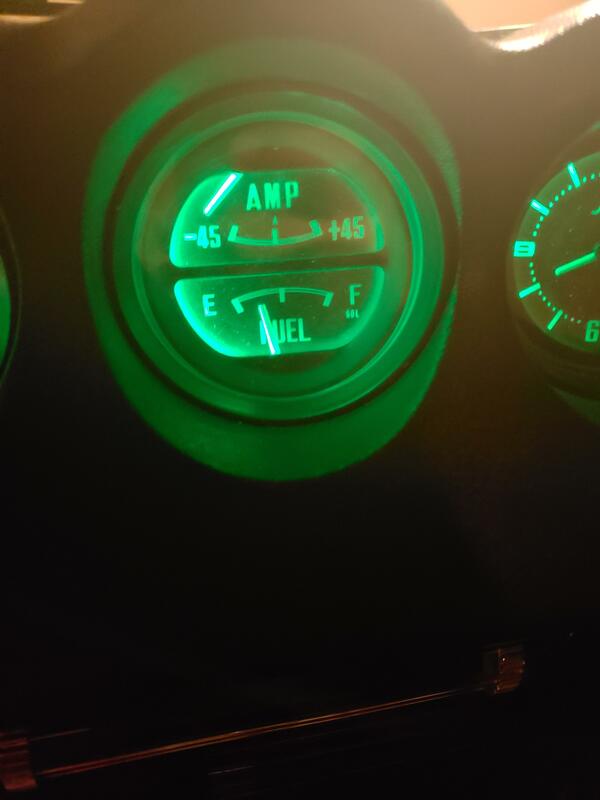 Glad you coerced the gauge back into working condition again. A word of caution. The problem will reoccur and too many thumps on the plastic faceplate will eventually crack it. V.O.E. Don't want to hijack the thread but how's your Z running these days? Im reading a book that describes the development and problems this car faced regarding vapor lock. Havent taken the car out for spin during stop and go traffic jams on week days. I was thinking that my 1972 240z could also have the symptoms described. 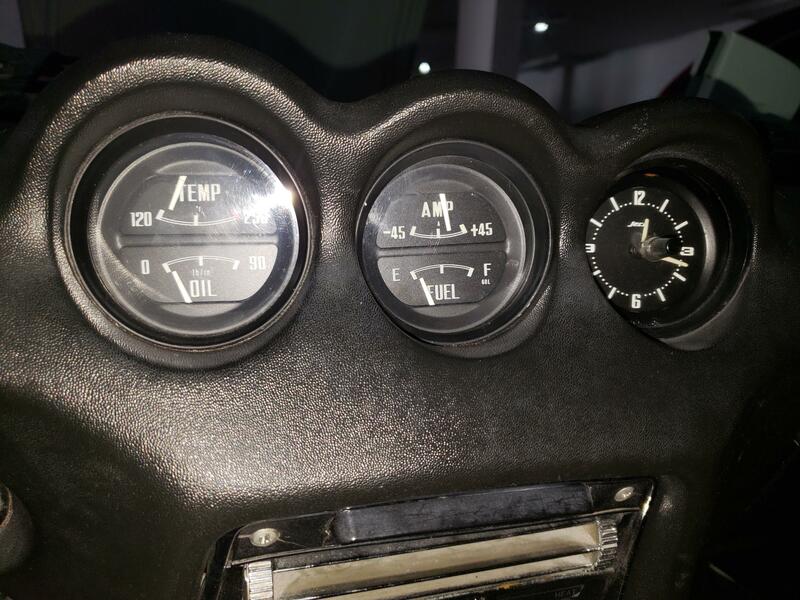 When I bought my '77 the face of the oil gauge was up against the needle. 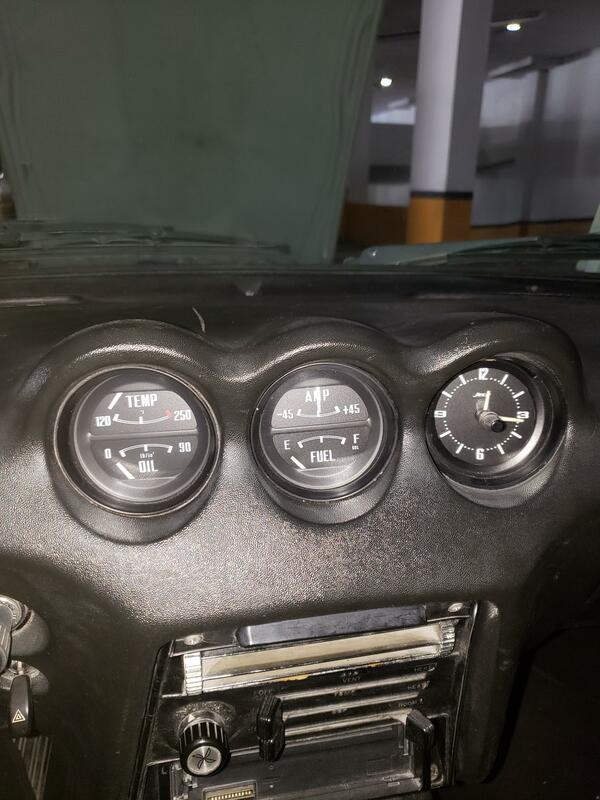 The guy I bought it from thought the gauge was bad I reckon? He tapped it out of the holding ring. I doubled up some duct tape and pulled it back into place then rebuilt the motor with a turbo oil pump. 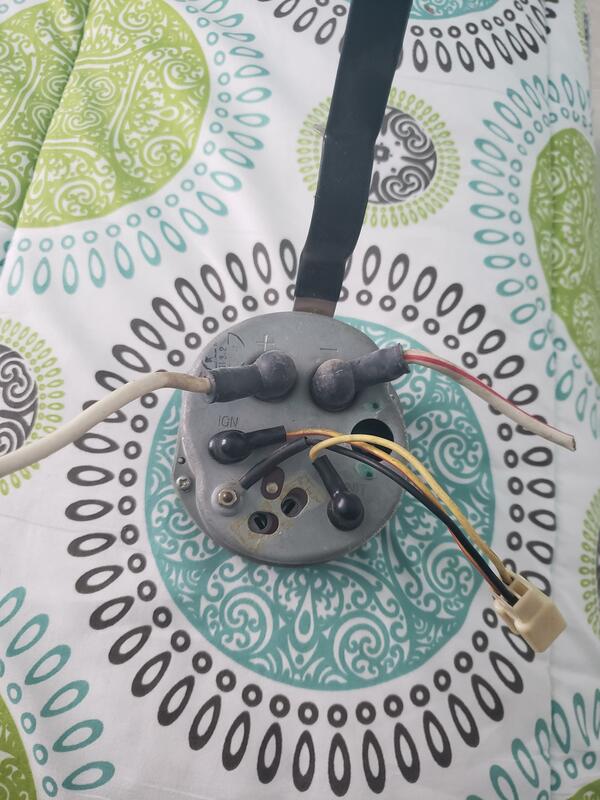 WHere can i purchase a 24" high quality negative battery cable with a soldered terminal and additional 4 inch cable which will be fastened to the firewall? Maybe something similar. I would prefer the original negative battery cable for my 1972 240z. Please advise if it the original negative battery cable was 24 inch long? rockauto.com has a lot of information and part numbers for '72 240Z battery cables. There is a difference from 6/72 to 7/72 also manual or automatic. Not sure what it is. Still looking for Negative battery cable with soldered terminal and extra wire to fasten to firewall. No luck yet! Anyone? All the Z specialty shops should have one. You found autozone.com I said rockauto.com then there's always amazon.com. Measure your old one and I'll measure mine. Report back with results. 24 inches is plenty. You can tuck and hide the extra wire. Mine have been replaced too. I see now I have room to go to an opposite post battery. Get the hot out from under the fender.